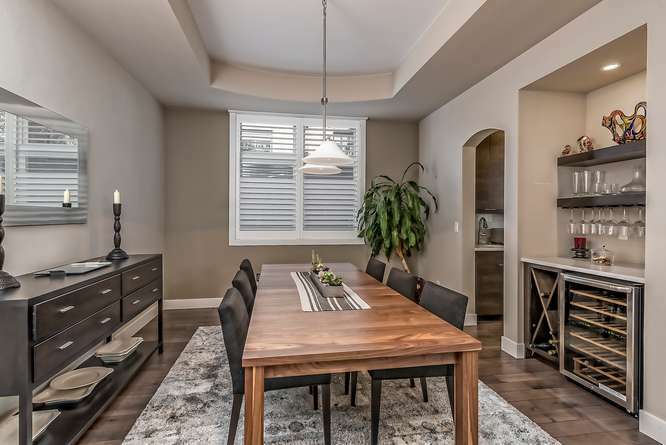 This is an immaculate newer construction Tudor built by Sheffield Homes and is located in the highly desired neighborhood of Washington Park. 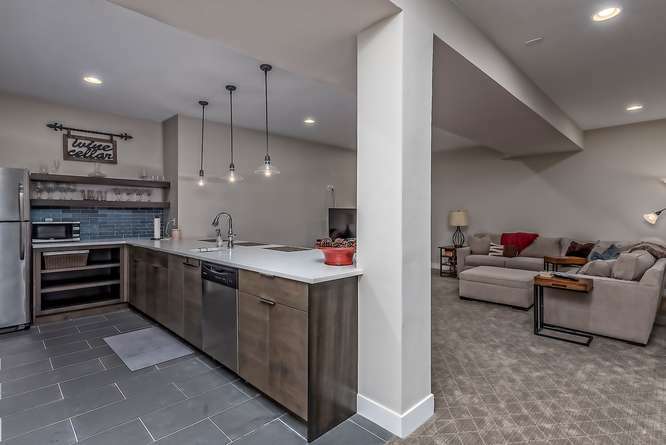 Perched high on an elevated lot, the home is two blocks from Washington Park and offers excellent walkability to the Wash Park, Cherry Creek, the restaurants & boutiques on South Pearl Street and light rail. 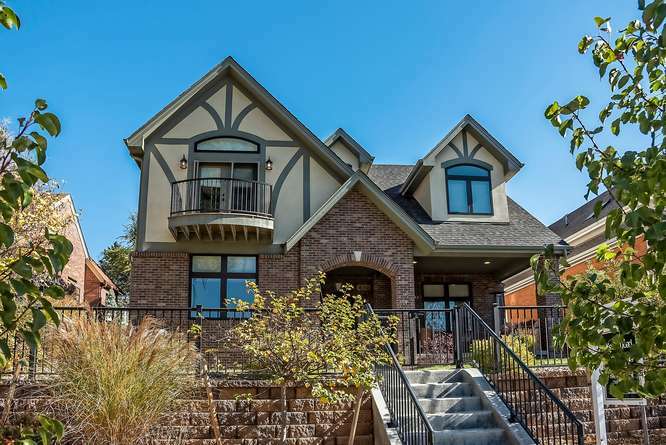 The classic Tudor exterior features a beautiful blend of stucco and stone materials with elegant fascia accents. 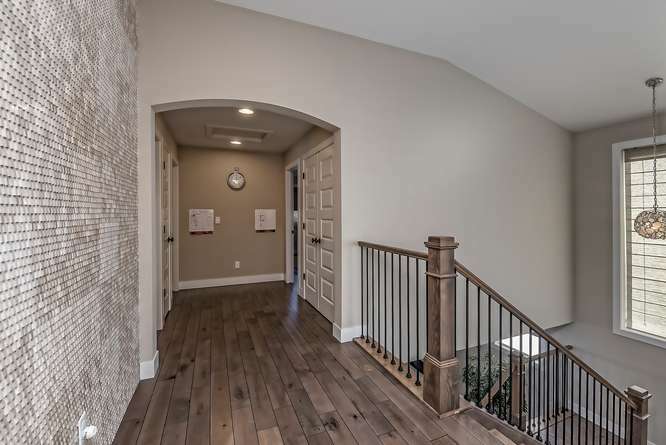 The home offers an oversized front patio, perfect for enjoying the setting Colorado sun. 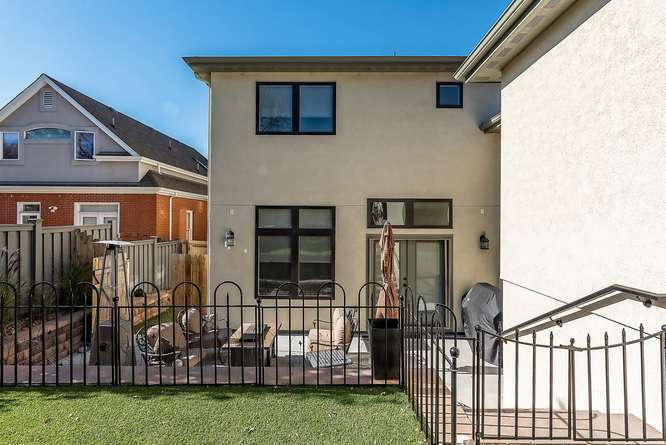 The front yard features a terraced landscape and wrought-iron fence. 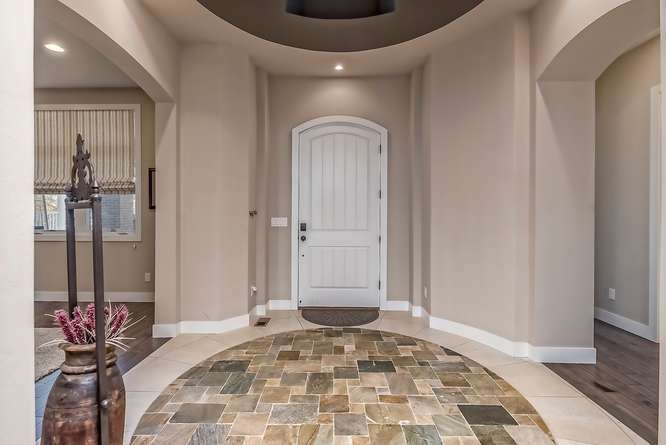 Upon entering this stunning home you are greeted with soaring vaulted ceilings at the foyer accented by a circular stone inlay in the floor. Elegant ash stained Alder hardwood floors draw you into the home with a warm and sophisticated feel. The well appointed kitchen is complete with Thermador stainless professional grade appliances, white quartz countertops with clear glass backsplash, stainless apron-front under mount sink, Tharp 42” slab front dark stained cabinets, massive island, butlers pantry with wet bar, designer pendant lighting and barn style sliding door. 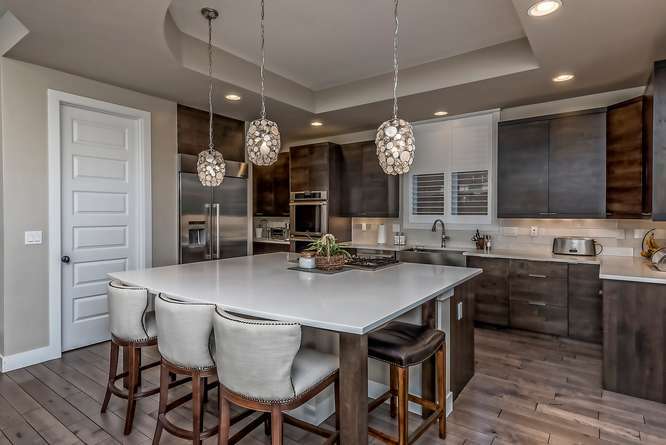 The kitchen overflows via the open concept floor plan directly into the living room. The living room features a Heat & Glo fireplace housed in a modern tile mantel with flanking sconce lighting. The butlers pantry adjoins the kitchen and formal dining room. The dining room has a wine fridge and Tharp built-ins. 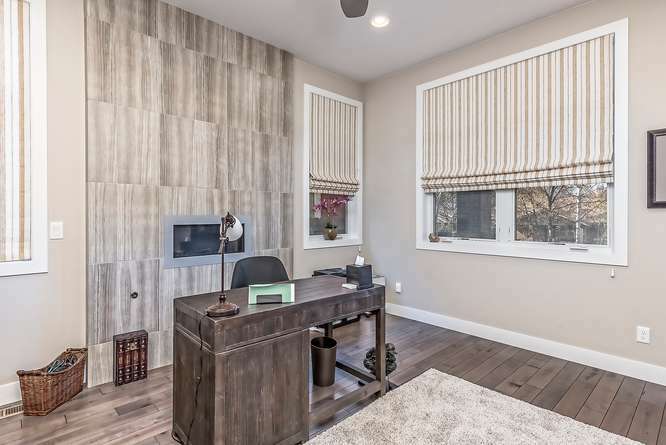 The home office features the 2nd of 3 Heat & Glo fireplaces, tastefully set in a floor-to-ceiling tile mantel. The office also offers 2 art nooks with Tharp built-ins and overhead illumination. 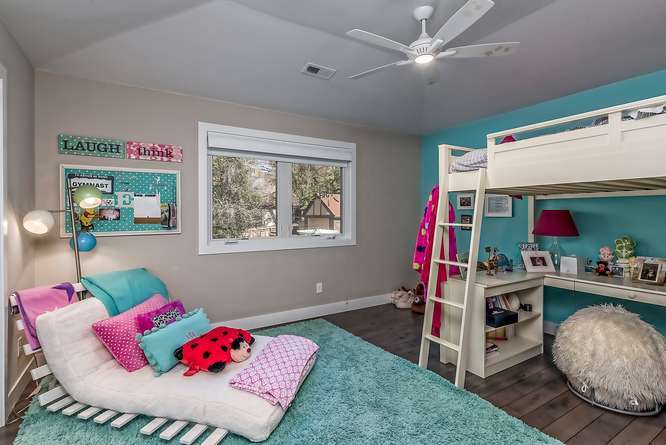 The main level bedroom is spacious and has two over-sized closets. 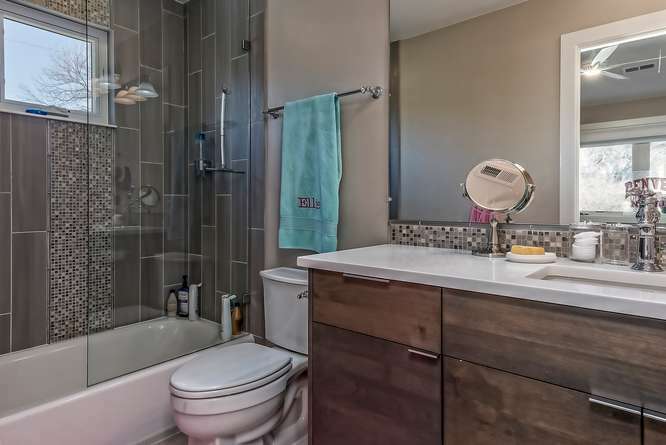 It is located next to the main level bath that offers a shower with poured pan, 12x24 vertically laid subway tiles with mosaic inlay and euro-glass door. 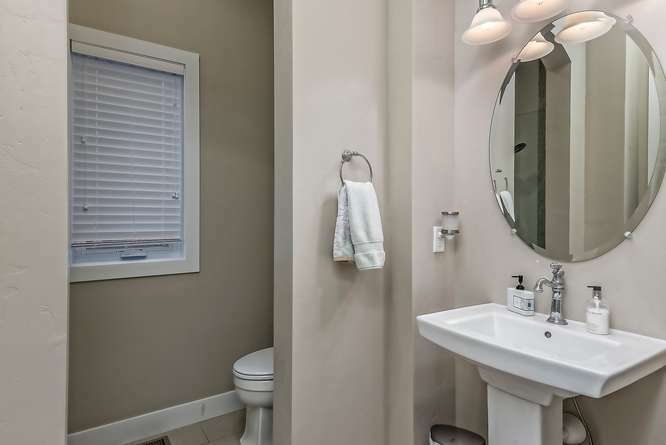 The bathroom also has a pedestal sink and 12x24 brick set tile floors. 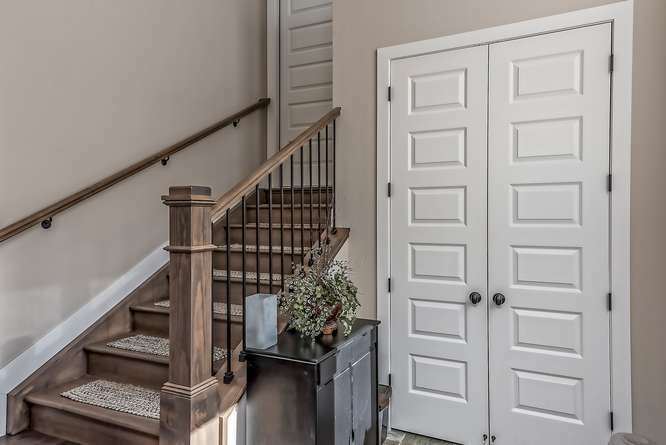 The elegant ash stained Alder hardwood floors continue up the stairs leading to the second story. 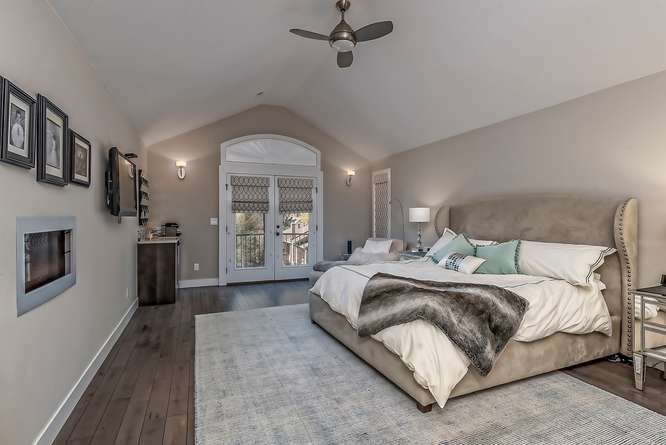 The master suite is the true highlight of this home. It takes up the entire west portion of the second level. The master bathroom is a sanctuary. No specific element holds more draw than the comforting oasis of a great bathroom. This is that bathroom. 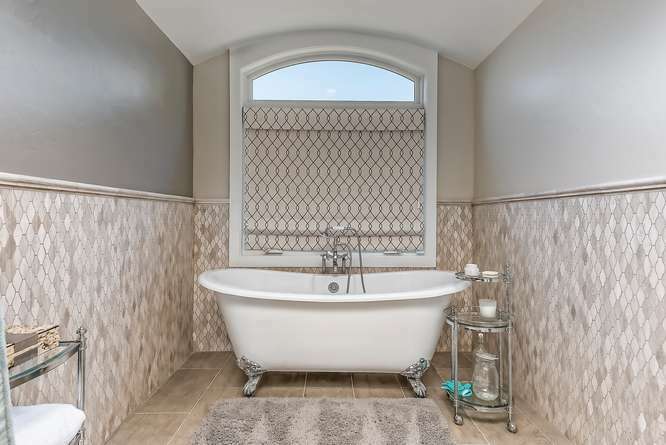 A stunning claw-foot tub is a centerpiece, surrounded by a teardrop stone tile wainscoting. The massive shower features dual showerheads, vertical brick set stone wall tile with mosaic glass and stone accent. 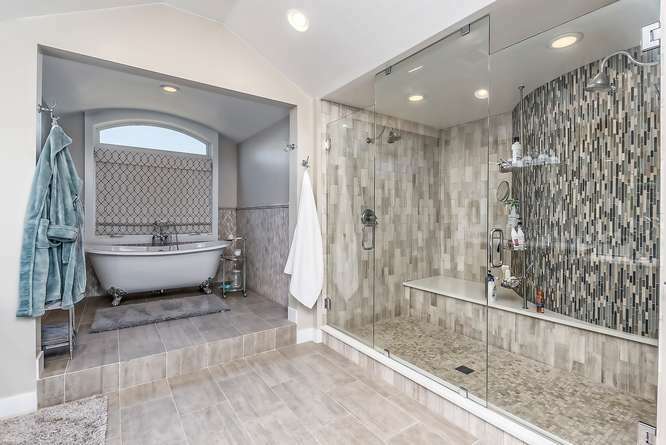 A shower bench, mosaic stone shower pan, and euro glass doors finish this stunner. 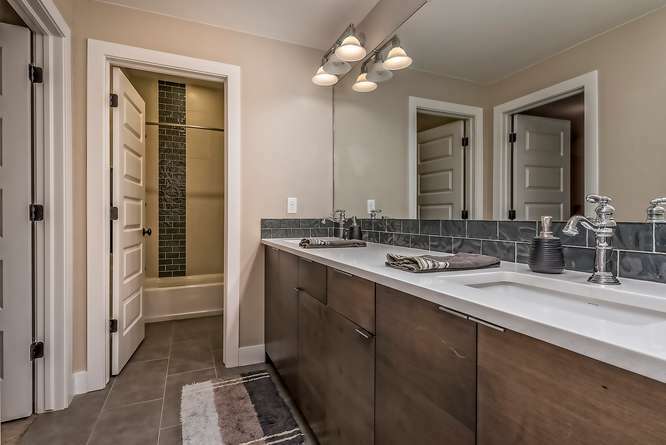 The master bathroom also offers dual square under mount sinks, white quartz counter-tops, and a cosmetics vanity. 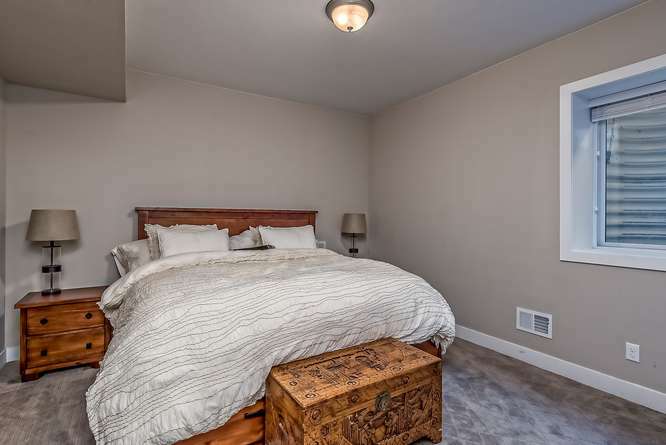 The master bedroom in enormous and is complemented by west facing balcony to enjoy the Rocky Mountain sunsets. 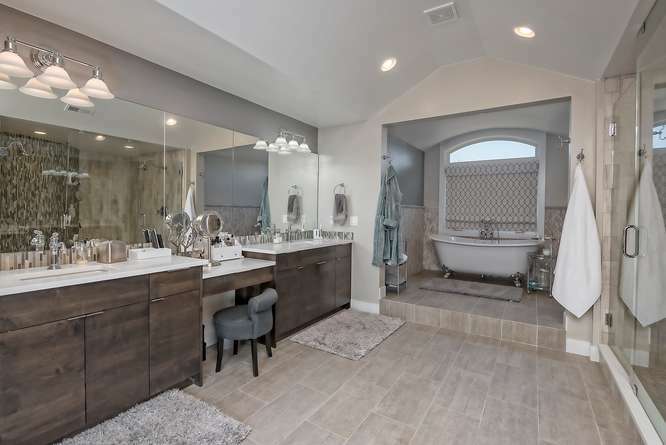 The suite also has a coffee bar with mini-fridge, sconce lighting, the 3rd Heat & Glo fireplace, custom built out walk-in closet and barn style sliding door. 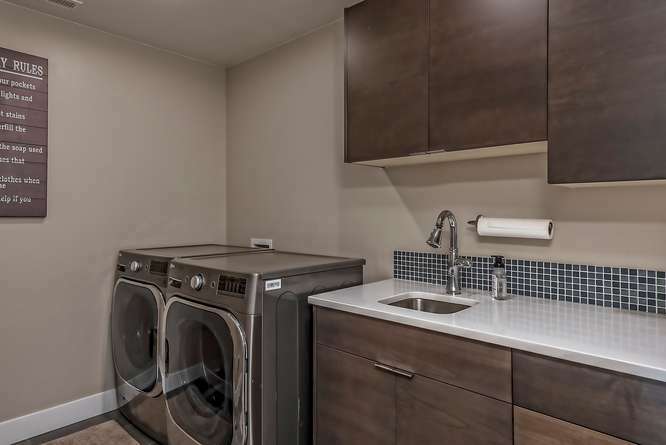 An oversized second floor laundry room is outfitted with Tharp cabinets, both uppers and lowers, along with white quartz countertops and stainless undermount sink. 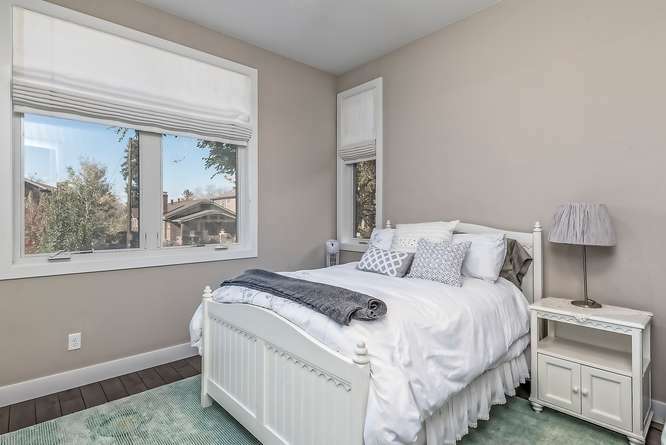 Both second story guest bedrooms have en suite bathrooms with heavily upgraded finishes, square undermount sinks, white quartz countertops and euro glass bath and shower doors. 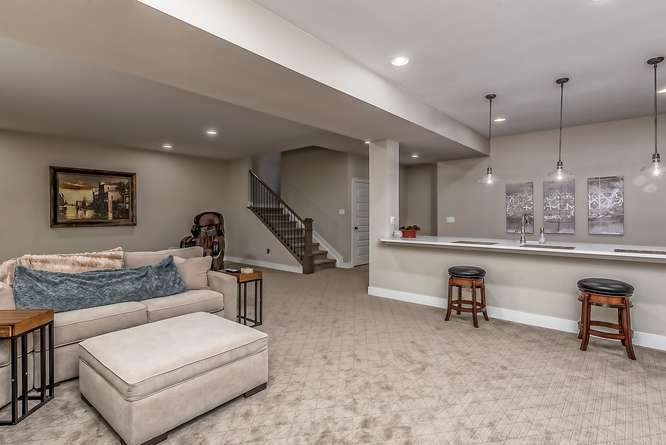 The basement features a massive great room with wet bar. 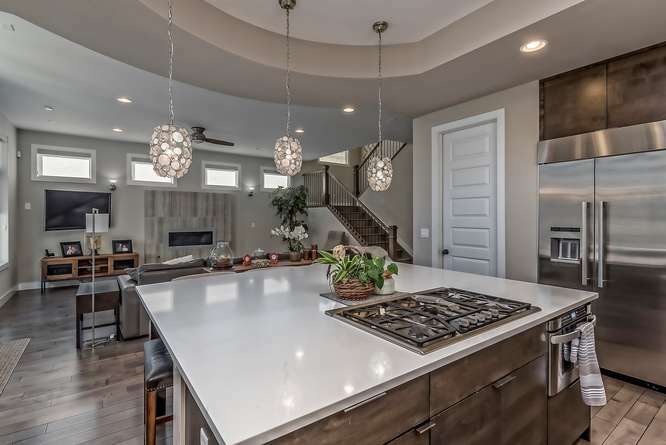 The bar has a full refrigerator, sink, dishwasher and offers Tharp cabinets, white quartz countertops, open kitchen shelving and designer pendant lighting. 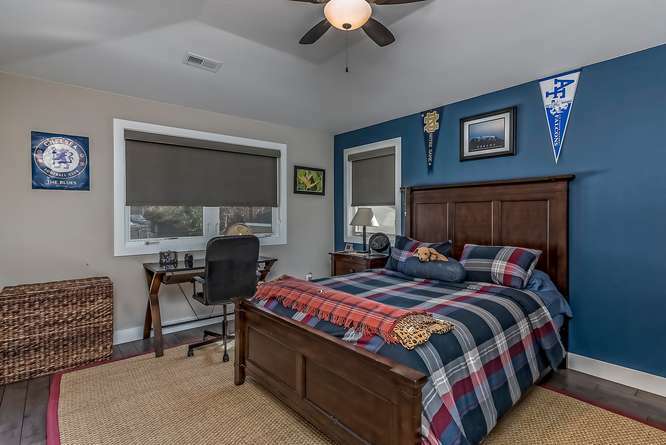 The basement also features two oversized guest bedrooms with a full bathroom. 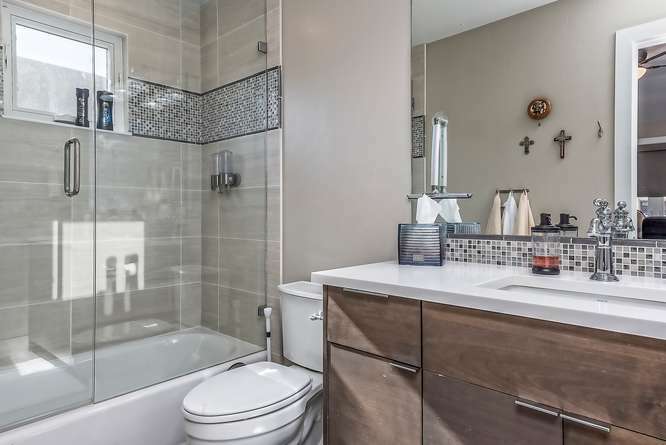 The bathroom has dual square under mount sinks, white quartz countertops complete with upgraded wall tile, floor tile and accents. 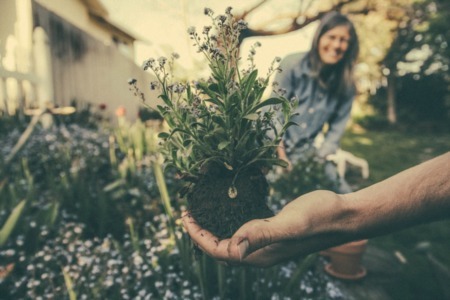 Other notable elements include; nine-foot solid core doors, hand trowel finish throughout and an oversized mudroom leading to the two car attached garage. 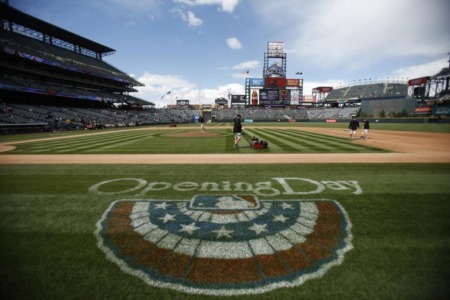 The backyard is landscaped and offers synthetic turf and a dog run.